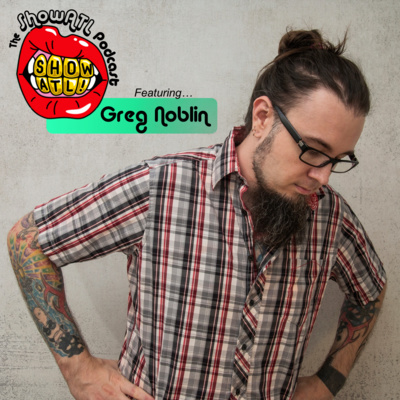 The ShowATL Podcast is a show for the creatively-inclined. We are dedicated to finding and highlighting Atlanta's Creative Voice by speaking with those who are making things in our city everyday. 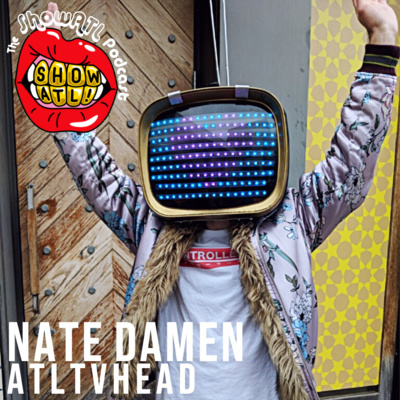 Hosted by ATLien Parsa Behnamiri, The ShowATL Podcast brings you interviews with creatives and creators that comprise some of Atlanta's boldest voices, as well as tons of other colorful content you will probably want to tell all your friends and family about. This is Part 2 of this 2-part podcast. FamilyHood is comprised of Marcus Whitaker and Jake Llaurado. FamilyHood was founded with the mission of bringing the Atlanta community together through art shows, which feature a variety of local artists, as well as musicians and other creatives. Marcus and Jake sit to talk about FamilyHood’s origins, the role the Atlanta community plays in inspiring their work and mission, and their personal individual reflections on art, creativity, and authenticity. You can find out more about FamilyHood here: http://www.familyhoodatl.com Find them on Instagram @familyhoodatl The ShowATL Podcast aims to find and highlight Atlanta’s Creative Voice by speaking to those who are creating incredible things in our city every day. By interviewing some of Atlanta’s boldest voices, The ShowATL Podcast takes listeners on journeys through Atlanta’s creative side. This is Part 1 of this 2-part podcast. FamilyHood is comprised of Marcus Whitaker and Jake Llaurado. FamilyHood was founded with the mission of bringing the Atlanta community together through art shows, which feature a variety of local artists, as well as musicians and other creatives. 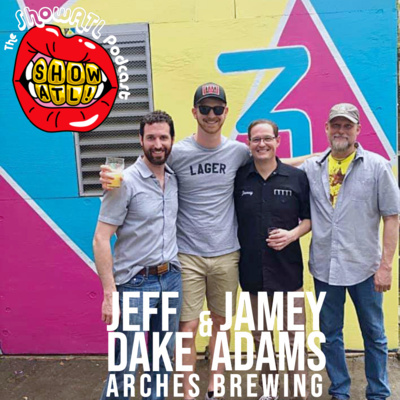 Marcus and Jake sit to talk about FamilyHood’s origins, the role the Atlanta community plays in inspiring their work and mission, and their personal individual reflections on art, creativity, and authenticity. 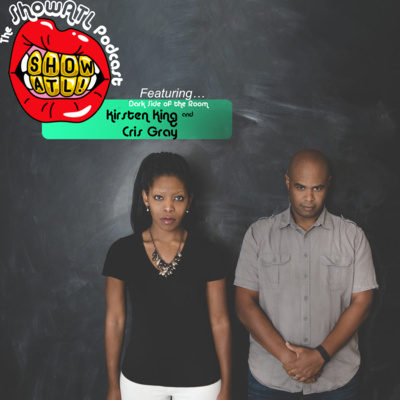 You can find out more about FamilyHood here: http://www.familyhoodatl.com Find them on Instagram @familyhoodatl The ShowATL Podcast aims to find and highlight Atlanta’s Creative Voice by speaking to those who are creating incredible things in our city every day. By interviewing some of Atlanta’s boldest voices, The ShowATL Podcast takes listeners on journeys through Atlanta’s creative side. Peter Roglin is an Atlanta musician and producer performing under the stage name Charolastra. Along with the release of his new album, Peter is also a founding member of the record label VLSC Records. 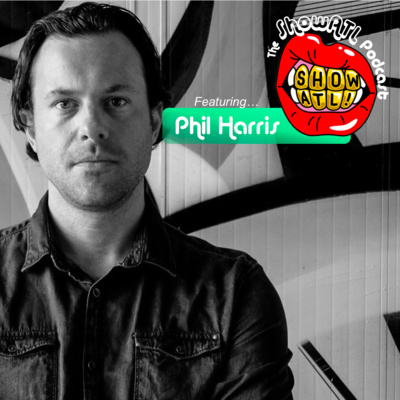 Peter joins us to talk about his music; his influences across music, film, and art; VLSC Records; and how his recent trip to Havana, Cuba influenced his recent album, Passenger. As a quick note, the song playing at the end of this episode is titled “Beach Dream” and is off Charolastra’s new record, “Passenger”. A full raw version of this interview will be available on our website shortly. Find Charolastra here: https://charolastra.bandcamp.com Find VLSC Records here: https://www.vlscrecords.com/ Or here...https://vlsc.bandcamp.com/ The ShowATL Podcast aims to find and highlight Atlanta’s Creative Voice by speaking to those who are creating incredible things in our city everyday. Yu-Kai Lin is the owner of KAI LIN ART in Atlanta, Georgia. As KAI LIN ART celebrates 10 years of business, Yu-Kai joins us to talk about how art has evolved and is continuing to evolve in Atlanta. 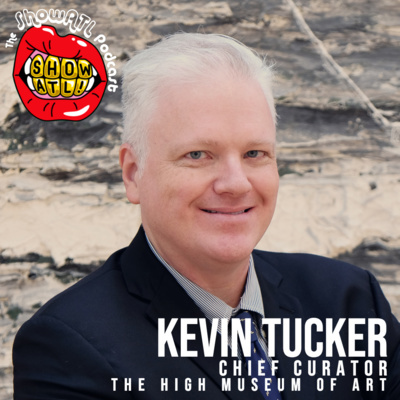 We also talk about creativity, balance, and the mechanics of running a successful gallery. KAI LIN ART’s next exhibition, titled “Sublime”, begins on August 3rd and runs through September 21st. Find out more about Yu-Kai and KAI LIN ART at www.kailinart.com Listen to Yu-Kai’s Emory TEDx talk here: www.kailinart.com/news/tedx-emory-with-yu-kai-lin The ShowATL Podcast aims to find and highlight Atlanta’s Creative Voice by speaking to those who are creating incredible things in our city everyday. By interviewing some of Atlanta’s boldest voices, The ShowATL Podcast takes listeners on journeys through Atlanta’s creative side. Savannah Berry is a registered dietician and food and fitness blogger in the Atlanta area. Her Instagram account, @healthy_sav_atl, has gained over 3000 followers based on Savannah’s beautiful depiction of healthy food and fitness in Atlanta. Find her on Instagram @healthy_sav_atl The ShowATL Podcast aims to find and highlight Atlanta’s Creative Voice by speaking to those who are creating incredible things in our city everyday. 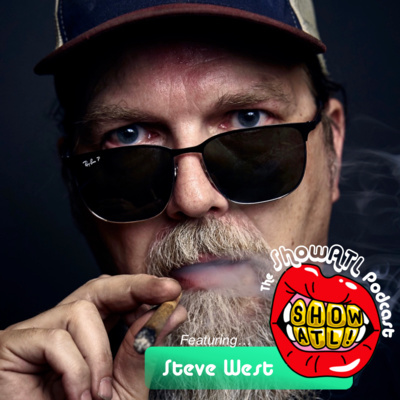 By interviewing some of Atlanta’s boldest voices, The ShowATL Podcast takes listeners on journeys through Atlanta’s creative side. Michael Sponsel is the founder and co-owner of Freedom Barber Co in Atlanta, GA. As Freedom prepares to open it’s new shop along the Beltline, Michael speaks with us about his personal and professional journey, along with how he has grown Freedom to the point of earning both Creative Loafing and Jezebel’s award for Best Barbershop in Atlanta in just one year. Find Michael and Freedom Barber Co at www.freedombarberco.com or on Instagram @freedombarberco The ShowATL Podcast aims to find and highlight Atlanta’s Creative Voice by speaking to those who are creating incredible things in our city everyday. By interviewing some of Atlanta’s boldest voices, The ShowATL Podcast takes listeners on journeys through Atlanta’s creative side. Alex Vernon is the co-founder and owner of Comeback Vinyl in Alpharetta, Georgia. Alex sat down with us to talk about Comeback Vinyl and the new role of vinyl as a listening medium in today’s musical landscape. 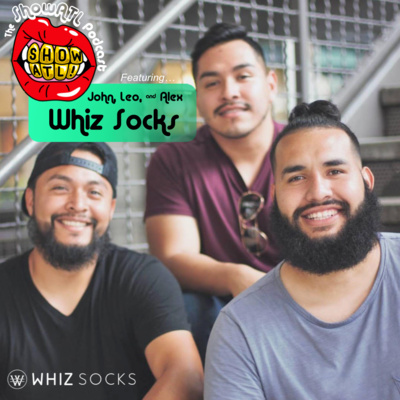 This episode takes the listener through the journey of Comeback’s history and explores Alex extensive knowledge of music and the vinyl industry. Find Comeback Vinyl at www.comebackvinyl.com or on Instagram @comebackvinyl The ShowATL Podcast aims to find and highlight Atlanta’s Creative Voice by speaking to those who are creating incredible things in our city every day. 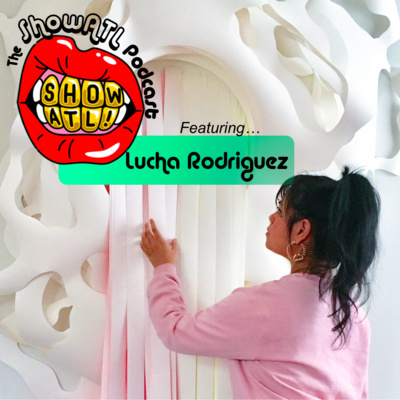 By interviewing some of Atlanta’s boldest voices, The ShowATL Podcast takes listeners on journeys through Atlanta’s creative side.